Summary from Goodreads: The darker the sky, the brighter the stars. 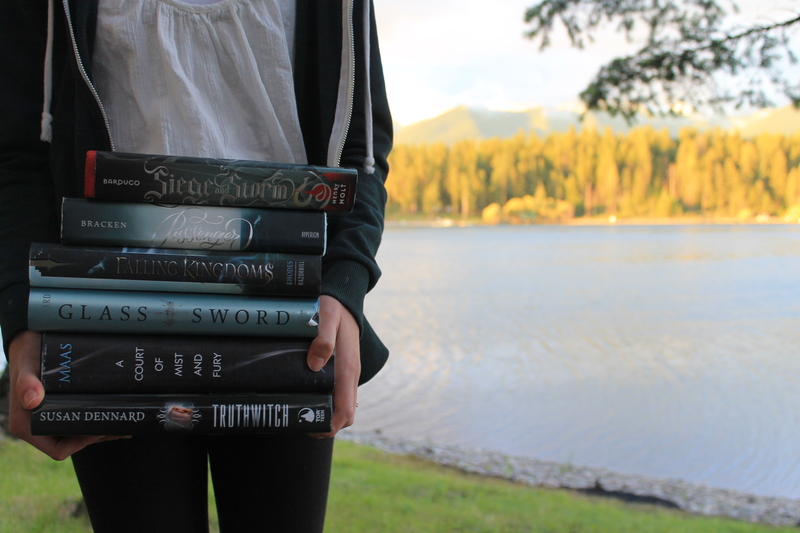 I really enjoyed The Rose and the Dagger, it just didn’t stick out to me the same way The Wrath and the Dawn did. 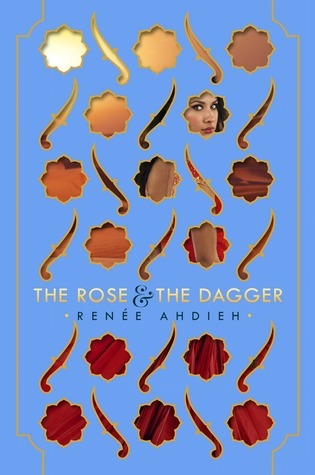 Renee Ahdieh’s writing style remains to be haunting and beautiful, but I felt that the first book was actually much better. It kept my attention, whereas this one had a tendency to get pretty boring at times. Don’t get me wrong, I still loved this book, but I feel that The Wrath and the Dawn was much better and this one just didn’t live up to my expectations. Shahrzad, after being forced to flee the palace, is now reunited with her family. But all is not well, as her family has joined with a gathering force preparing to kill Khalid, Shazi’s husband and love. The two of them miss each other greatly, but are forced to be kept apart. Tariq (everyone’s favorite… not) is still trying to win back Shazi as Khalid is doing everything he can to keep his city alive from the curse. I absolutely love Shazi. Shazi doesn’t take crap from anyone, and I love that about her. She’s strong and fierce. But not only is she super strong, she;s also very sassy, another one of her qualities I love. She always stands up for not only herself, but those she loves and everything she believes in. And of course, Khalid. *heart eyes* I love Khalid, too. He’s willing to do whatever it takes to be with Shazi but is also unwilling to destroy his people in the midst of it. He acts like a true king in this book, powerful, but loyal and understanding towards his people. Khalid has grown so much as a person from what he was before we met him and in the first book. Tariq is still in love with Shazi though. It’s not like most love triangles where the main character is trying to chose because Shazi knows Khalid is the one and only person for her. Tariq just doesn’t get it though and keeps trying to win her back, and ugh. I hate Tariq. I hate him, I hate him, I hate him. Like, please just leave my precious babies alone. We get a lot more from the side characters in this book. Jalal and Despina weren’t as present as they were before, but all the characters that were mentioned but we didn’t get to know in the last book were introduced more here. Irsa, Shazi’s sister, is a big part of the plot, especially with her budding romance with Rahim. Their father, Jahandar, also plays a big role with the book. I really don’t like him because of how terrible he can be to his daughters, but I do really like Irsa. I still love Despina and Jalal though and would have liked to have seen more of them here. As always, the writing is hauntingly beautiful. I love Renee Ahdieh’s writing style. She uses the perfect amount of metaphors and description to create such a beautiful book. Just by the way she writes, she creates an unforgettable story that leave you on the edge of your seat wanting more, for the most part. But, that was the main problem I had with this book and it’s why I didn’t give it five stars. Sure, this book was memorable and left me always wanting more, it just wasn’t the same as The Wrath and the Dawn. When I read the first book, I was glued to the pages right from the start. But during this book it started to drag on at points and get kind of boring. Though the writing was beautiful, it just didn’t keep my attention enough during those inbetween filler parts. Overall, The Rose and the Dagger was a wonderful installment and finale to the Wrath and the Dawn. It was beautiful, as always, and the romance was wonderful. I love the characters so much, especially Shazi’s strength and selflessness. This book just didn’t meet the expectations I had for it based on the first book. It was still wonderful and heartbreaking and just all around amazing though. I cannot wait to read more of Ahdieh’s works!